Supernovae, cosmology, and the mysterious dark energy. I am primarily concerned with clues to the nature of supernova progenitors through bulk analyses; rates, environmental effects (star-formation, metallicity, etc. ), and the global evolution of these properties over the history of the Universe. I am also involved in projects on four robotic telescopes; three in space-- The Hubble Space Telescope (HST), The James Webb Space Telescope (JWST), and The Wide-Field Infra-Red Space Telescope (WFIRST); and The RCT 1.3-meter on the ground. Black Americans, Hispanic Americans, and Native Americans are seriously underrepresented relative to their respective numbers in the U.S. population in the fields of astronomy, space science, and physics. 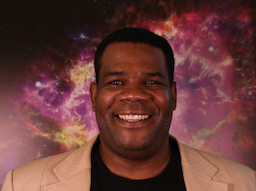 I am involved with a number of initiatives addressing underrepresented minorities in astronomy and physics, and looking at approaches to improve recruitment and retention. We're running program to locate distant supernovae in and around the target clusters of the HST Frontier Fields Survey. Our goals have been to improve the constraints on Type Ia supernova rates at z > 1.5, and to refine cluster mass models by probing line-of-sight cluster lensing magnification of background supernovae. Along the way we've found some very interesting supernovae, including "Refsdal" (shown above). The light from this unique event has been bent by gravity around the foreground galaxy, resulting in four images of the same event, which can be seen in the yellowish knots in the ring around the yellow galaxy above the bright star at the bottom of the image. My main scientific interest is in understanding the rates of supernova explosions in the universe, and the connections to progenitor systems and event mechanisms.  The plot above shows the volumetric core-collapse supernova rates over cosmic time, as measured by HST and other ground-based surveys. It is comparable to the volumetric cosmic star formation rate history (shown as the line), which confirms they are events from short-lived stars, in the range of 8 to 50 times the mass of the sun when they were formed. We learn similar types of constraints looking at thermonuclear type Ia supernovae rates over cosmic time. On a dark and (partly) cloudy night at the Kitt Peak National Observatory, Dr. Eric Rubenstein and I decided to follow up on an object we suspected was moving in our data. After an hour or so of reviewing and checking ephemerides, and so on, we were convinced we'd found a previously undiscovered outer solar-system minor planet. It was later confirmed to be an undiscovered TransNeptunian object, then named 1999 TC36. 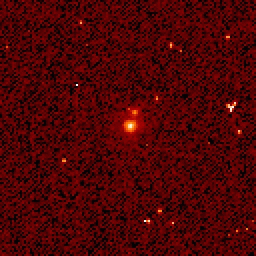 Moreover, it was later shown to be at least a pair of objects, as can be seen in the HST image from 2001. Amazing what you find when you're not looking for it! With many thanks to Dr. Bryan Holler, the minor planet has a new name, Lempo, named after the ancient Finnish devil who, with the help of his two demon cohorts, Hiisi and Paha, brought down the hero VÃ¤inÃ¤mÃ¶inen. The official citation can be found here https://ssd.jpl.nasa.gov/sbdb.cgi#top by typing "lempo" in the search field. Here is my 2016 National Science Foundation Astronomy and Astrophysics Postdoctoral Fellows Symposium keynote talk on "The Importance of Diversity" (iCloud Keynote view only, and PDF) which I gave at the 2016 Winter AAS meeting. Included are some useful statistics on the state of the profession in physics and astronomy. Unix Tutorial: a beginner's guide. Emacs Guide: some notes on key combos. Units: some notes and conversions. strolger_util: some moderately useful python tools. 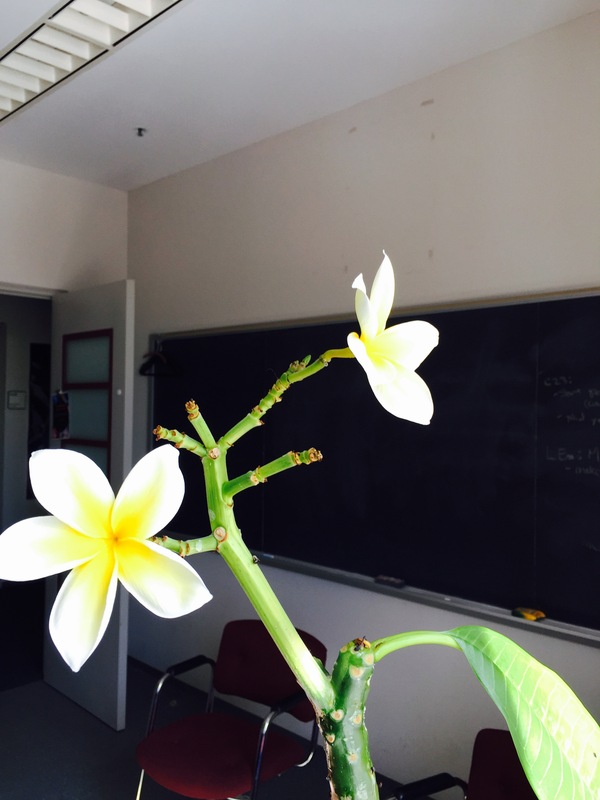 Velma the Frangipani-- I inherited a strange plant with my office. A 5-foot tall forked green stick with no leaves I thought was dead, until it sprouted these fragrant flowers. I repotted it, started watering it, and now get a new flower once a week. A bit of poetic coincidence, my other plant died recently from lack of attention. Odd Sundays I'll bake something. 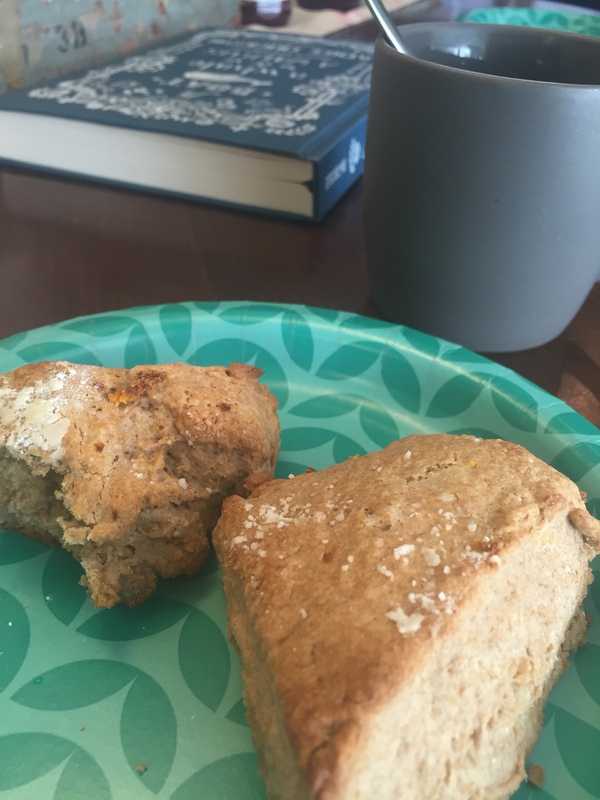 Maybe a prosciutto quiche, or scones as above. But not every Sunday! ©2017 Louis-Gregory Strolger All Rights Reserved.